re looking for a true stalking or long distance tool look no further. T3x Varmint has consistent accuracy be it at the range or on the plains. The free-floating barrel of the Tikka T3x Varmint effectively eliminates vibration offering a solid accuracy performance round after round. The synthetic T3x Varmint stock comes with a vertical pistol grip better suited for prone shooting. 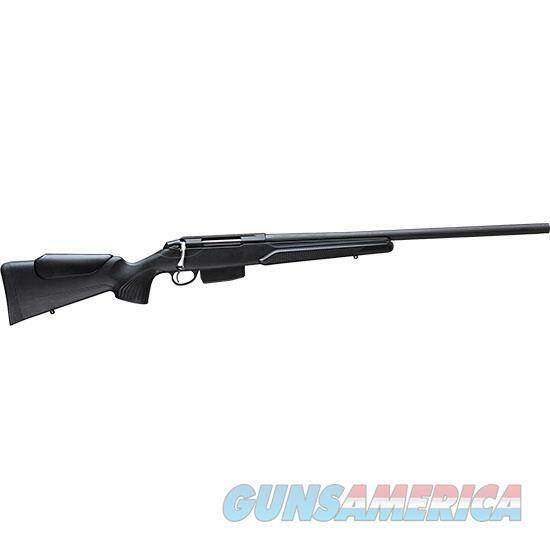 - Stock Material: Synthetic - Caliber: 22-250 - Magazine Capacity: 5rds - Finishing: Blued Steel - Trigger Group: Standard - Barrel Length: 23.7***Please allow up to 5 days handling time for this particular firearm.